In this digital age, children are spending more and more time interacting with a screen and less time playing outside, reading a book, or interacting with a parent. While technology can benefit us, it can also erode a sense of togetherness and hinder a child’s emotional and social development. 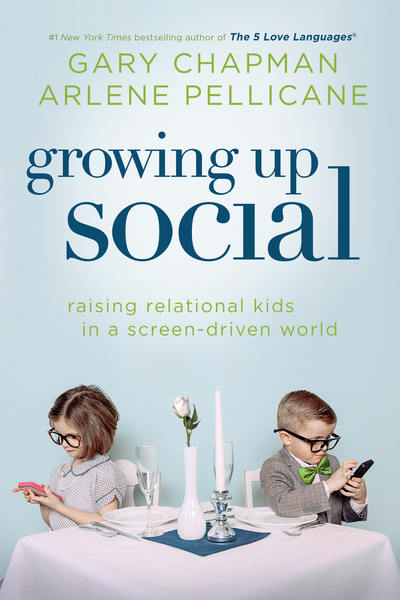 In Growing Up Social, Gary Chapman and Arlene Pellicane will empower you with the tools you need to make positive changes . . . starting today. Through stories, wit, and wisdom, you’ll discover how to take back your home from an overdependence on screens. Plus, you’ll learn to teach the five A+ skills that every child needs to master: affection, appreciation, anger management, apology, and attention.